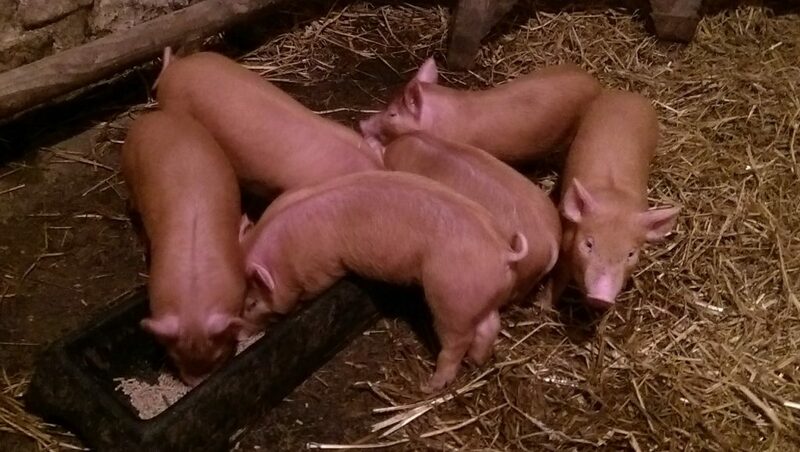 We have 4 Tamworth piglets (castrated males) available for sale out of the most recent litter . The mother – Sissy – is a registered pedigree sow, very good-natured and calm around people. Sow and her litter can be seen if required. The Tamworth is good hardy stock and ours happily live outside in woodland all year round although we usually bring them inside to farrow as can be seen in the photograph.